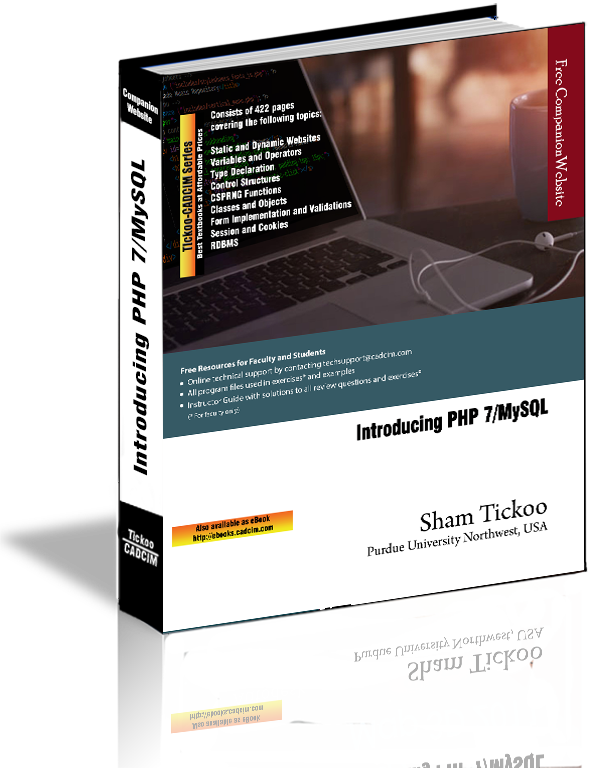 Introducing PHP 7/MySQL textbook is an example based textbook which is written to cater to the needs of the novice users who wish to learn PHP 7 and MySQL. It is quite helpful for the experienced web developers as well who want to develop efficient programs. The textbook highlights PHP and MySQL as the easiest languages for learning web development and also explains various features of the languages in a simple and easy style. The highlight of the textbook is that each concept introduced in it has been exemplified by a program to clarify and facilitate better understanding. Also, the line-by-line explanation of each program ensures that the users with no previous programming experience are able to understand the concepts and master the programming techniques and use them with flexibility while designing programs. Consists of 12 chapters that are organized in a pedagogical sequence. Covers various aspects of creating efficient programs using PHP 7 and MySQL. Each concept discussed in the textbook is exemplified by a program to clarify and facilitate better understanding. Additional information is provided throughout the textbook in the form of notes and tips.